Chadlington Brewery Oxfordshire is the official sponsor of Oxfordshire Cricket and our exclusive Oxfordshire Cricket 1787 beer is available in all Oxfordshire Cricket Clubs. Chadlington Brewery is the official sponsor for the Oxfordshire Cricket 1st XI, 2nd XI and all three veterans sides with the teams wearing playing shirts and hats that feature the Chadlington Brewery logo. The start of the sponsorship deal in 2017 also saw the release of their exclusive ‘1787’ beer, created especially for Oxfordshire Cricket. The name ‘1787’ was inspired by the fact that Oxfordshire Cricket was first county cricket club in the country having been founded 230 years ago in 1787. 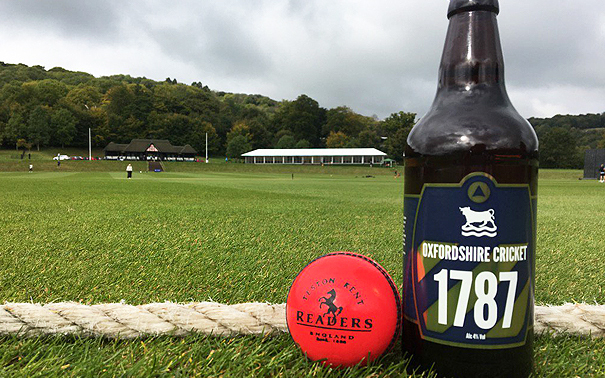 The sponsorship deals enables Oxfordshire Cricket’s clubs to become the focal point of their community and village and the exclusive 1787 beer is available to affiliated teams at reduced prices.